So, in case you don’t know I’m taking part in the #sexmeup readathon hosted by Laura at She Loves to Read, it starts Monday 21st of July, and if you would like to sign-up you can find out more here. I was browsing my Goodreads To Be Read shelf to pick out a few juicy books I could sink my teeth into, and realised I may have left it a little late to order one or two of the books I wanted to read/own in physical form. But, never fear, with some quick-thinking and the Kindle App, the day was saved and now I can bring you my #sexmeup to be read list (no pressure). 1. 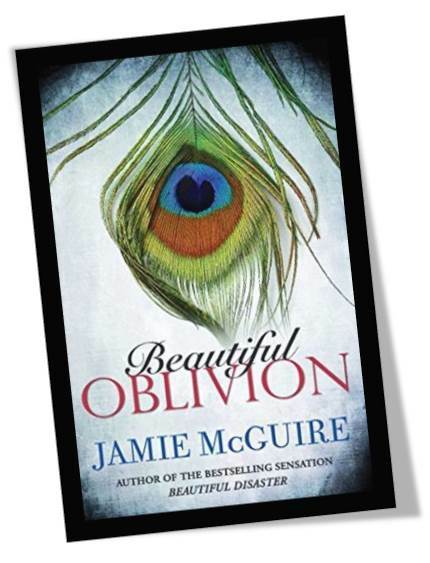 Beautiful Oblivion by Jamie McGuire: I’m a big fan of Jamie McGuire and Beautiful Disaster, so when I heard the Maddox brothers were back for a series all of their own. I got pretty excited. Synopsis: Fiercely independent Camille gladly moved on from her childhood before it was over. Now, tending bar at The Red Door, Cami doesn’t have time for much else besides work and classes, until a trip to see her boyfriend is cancelled, leaving her with her first weekend off in almost a year. As the baby sister of four rowdy brothers, Cami believes she’ll have no problem keeping her new friendship with Trenton Maddox strictly platonic. But when a Maddox boy falls in love, he loves forever – even if she is the only reason their already broken family could fall apart. 2. 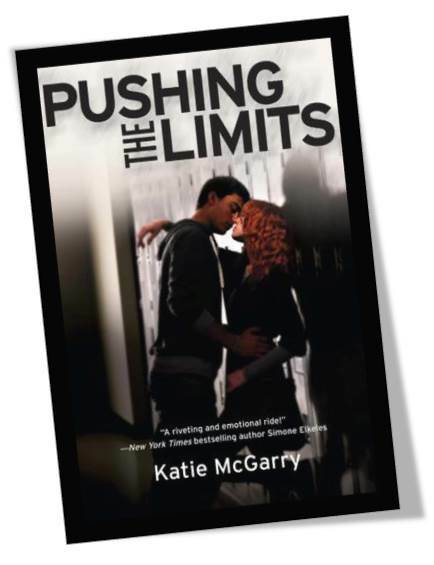 Pushing the Limits by Katie McGarry: I’ve heard tons about Katie McGarry books, and they always come very highly rated, so I’m excited to finally be reading something by her. I have to admit for the longest time the covers really put me off, but with hype this good I have to try them. Synopsis: No one knows what happened the night Echo Emerson went from popular girl with jock boyfriend to gossiped-about outsider with “freaky” scars on her arms. Even Echo can’t remember the whole truth of that horrible night. All she knows is that she wants everything to go back to normal. But when Noah Hutchins, the smoking-hot, girl-using loner in the black leather jacket, explodes into her life with his tough attitude and surprising understanding, Echo’s world shifts in ways she could never have imagined. They should have nothing in common. And with the secrets they both keep, being together is pretty much impossible.Yet the crazy attraction between them refuses to go away. And Echo has to ask herself just how far they can push the limits and what she’ll risk for the one guy who might teach her how to love again. 3. The Fixed Trilogy by Laurelin Paige: I picked these up pretty cheap (still £2.44 for the trilogy on Amazon) and couldn’t resist due to the high ratings these have on Goodreads. I’ve only included the synopsis for book 1 below, as I don’t want the blurbs to give anything away! Synopsis: Stalking and restraining orders are a thing of Alayna Wither’s past. With her MBA newly in hand, she has her future figured out—move up at the nightclub she works at and stay away from any guy who might trigger her obsessive love disorder. A perfect plan. But what Alayna didn’t figure on is Hudson Pierce, the new owner of the nightclub. He’s smart, rich, and gorgeous—the kind of guy Alayna knows to stay away from if she wants to keep her past tendencies in check. Except, Hudson’s fixed his sights on her. He wants her in his bed and makes no secret of it. What about you? Are you taking part in #sexmeup? If you are, what do you plan to read? I signed up and I’m excited to participate. I haven’t had time to think about what I’m going to read yet. Love your picks!! Pushing the Limits is really good- hope you like it.